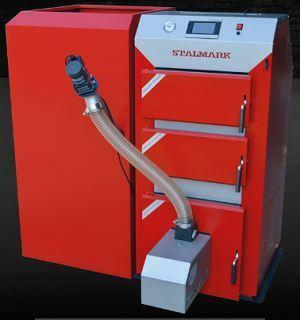 STALMARK, Fyrkjeler til husholdningsbruk, central heating boilers, boilers with piston feeder,r på EUROPAGES. As a manufacturer of ovens with years of experience we can offer a large selection of boilers for heating homes, and furthermore applicable in industry. We specialize in production of boilers with piston feeder, distinguished by very high energy efficiency. In this regard, we offer a type boilers STALMARK, STALMARK MAX DUO boilers and also BOSS, DUO PID and our latest model, the boiler BOSS VEGAS. We also have extensive experience in production of boilers with a screw conveyor, for example. PID VEGAS boiler. 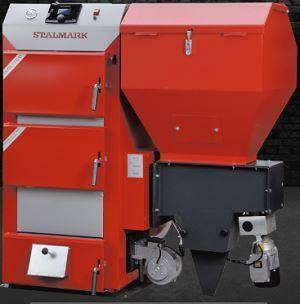 The our range is available in both wood boiler and products wood and designed to burn coal. We invite you to familiarize yourself with the various models of furnaces CO.